It's always disappointing to see a film throw away a tremendous amount of material with one terribly misjudged plot point, and few films in recent memory have thrown all built up good will out the window in such spectacular fashion as Dagur Kári's The Good Heart. The film plays all its cards in the first ten minutes, and completely lays out its entire plot trajectory in one of the most awkwardly blatant pieces of foreshadowing I've seen in a long time. But then it gets good. The success of The Good Heart is due almost exclusively to the performances of Brian Cox and Paul Dano, and the beautifully moody cinematography by Rasmus Videbæk. The chemistry between Cox and Dano keep the film rolling along at a good clip, creating a solid and endearing relationship between two very unlikely companions. Brian Cox in THE GOOD HEART, a Magnolia Pictures release. Photo courtesy of Magnolia Pictures. Cox stars as Jacques, a curmudgeonly bartender with a bad heart, who after yet another massive heart attack finds himself in a hospital room with Lucas (Dano), a young homeless man and victim of a failed suicide attempt. 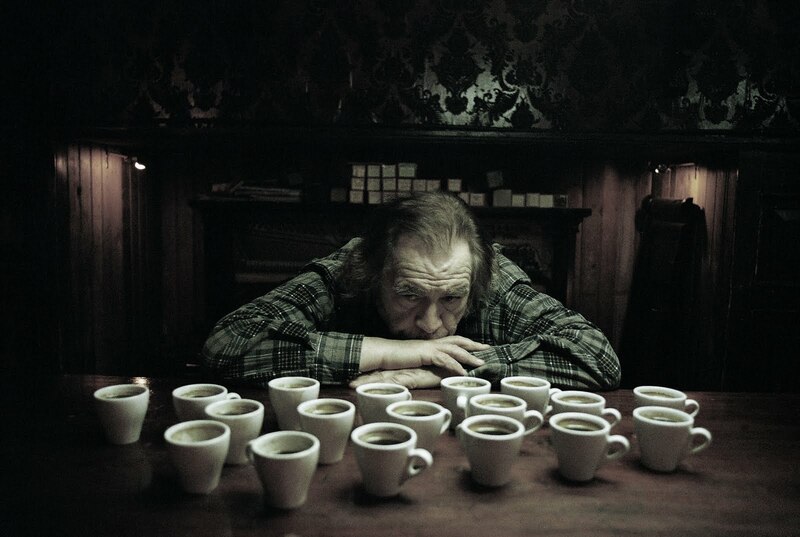 The two form an unusual friendship during their convalescence, and upon their release, Jacques decides to take Lucas in and train him to one day take over his run down old bar with its unique set of regulars. Jacques, as bitter and angry as he is lonely, doesn't have a true friend in the world. He is alienating, maddening, and completely off putting. Even those who like him often find themselves on the wrong end of his boundless anger and annoyance at the world. But Lucas gives him something he's never had before whether he realizes it or not. Jacques has a soft spot. It's buried beneath a deep seeded bitterness, but its there. And his relationship with Lucas makes up the core of the film. Cox's snarling, foul-mouthed performance is reminiscent of Clint Eastwood in Gran Torino, with his complete and utter dislike of everyone around him and a complete disregard for who he offends. But, like Eastwood, there is something oddly endearing about him. Kári finds the good in him without treacly sentimentality. Jacques is a mean old cuss, even at his most tender, but Kári wisely avoids any simplistic attempts at redemption. 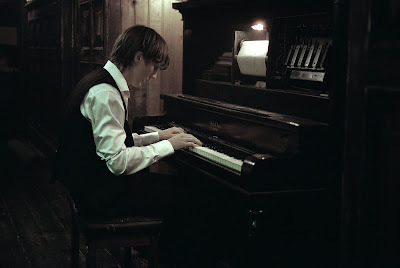 Paul Dano in THE GOOD HEART, a Magnolia Pictures release. Photo courtesy of Magnolia Pictures. That is until the ending, a last minute sucker punch that destroys everything the film had worked so hard to build. Kári abandons the film's previously measured tone in favor of an appallingly manipulative plot twist that may as well have been spelled out at the very beginning. It was inevitable, of course, given the film's unsubtle setup, but it still feels like a cheat. After deftly avoiding saccharine for nearly an hour and a half, The Good Heart dives into it face first. Had it not been so obviously spelled out at the beginning, or handled differently, it may have worked. But the execution is so completely mishandled that it's impossible to forgive. It's a shame, because most of the film is actually quite good. Cox and Dano are uniformly excellent, and the script is mostly tight and on point, creating a well worn atmosphere of an old neighborhood bar that has played host to the same regulars for years on end, each with the same casual anonymous bond. But the third act twist is so terrible that it nearly ruins it. It's strange and disappointing to see such a good film flame out so intensely at the last minute. In perspective, The Good Heart is a solid film buoyed by great performances, despite its flawed denouement and unnecessarily sappy message that seems tacked on as an afterthought. If one were to walk out 15 minutes before the credits rolled they would think they had seen a pretty good film. It's that last stretch that makes all the difference. Still, Cox is fantastic, if only the ending had done him, and the rest of the film, justice. 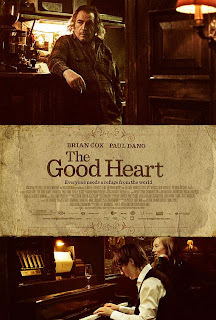 THE GOOD HEART; Directed by Dagur Kári; Stars Brian Cox, Paul Dano, Stephanie Szostack; Rated R for language and a disturbing image. Now playing in select cities and On Demand.